BPI: Brake Parts India Pvt. Ltd. Brake Parts India Pvt. Ltd. (formerly known as AFFINIA India Pvt. Ltd.) was incorporated in India as a private limited company on Aug. 30, 2007, under the Companies Act, 1956. The company is engaged in the manufacturing of disc brake pads for mainly North America. The company has been set up as a 100 percent export-oriented unit under the provision of EOU Scheme 2004-09. 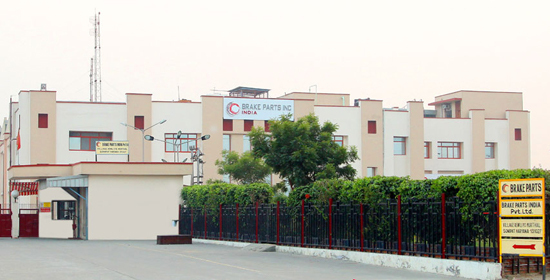 The Brake Parts Inc. India plant is IATF 16949: 2016 Certified. The company commenced commercial operations in Dec. 2008.